The ebb and flow of classic car values was aptly illustrated by a £250,000 Bentley Continental R Mulliner WB selling for £38,200 at Barons, Sandown Park on 30th July. That's probably as low at the car's value will ever go. Because, just like Ferraris, these cars reach a rock bottom from which they inexorably rise and that can make a classic car action the perfect place to invest in one. The Bentley was followed by a very fine 1978 Aston Martin V8 Oscar India, which sold for £35,000. One of just 16 examples to feature the ZF five-speed manual transmission, this car had come from the Sir Arnold Clark private collection and is now never likely to be worth less. A 1996 Broomstick XK120 Recreation is a faithful replica of a Jaguar XK120, hard to distinguish from the real thing until the bonnet is opened to reveal a 4.2 litre XK engine. It sold at Barons for a whisper under £32,000. A 1947 Armstrong Siddeley Hurricane, 1996 Caterham Super Seven Sprint all exceeded top estimate, selling for £10,540, £10,300 and £10,100 respectively. Other notable results included a 2001 Range Rover Vogue. Complete with Alpine DVD and Playstation monitors in the cream hide-covered front headrests, this sold for almost twice its estimate, at £3,820. Barons’ next auction is its Classic, Collectors and Sports Cars Sale at Sandown Park on Tuesday, September 17th. 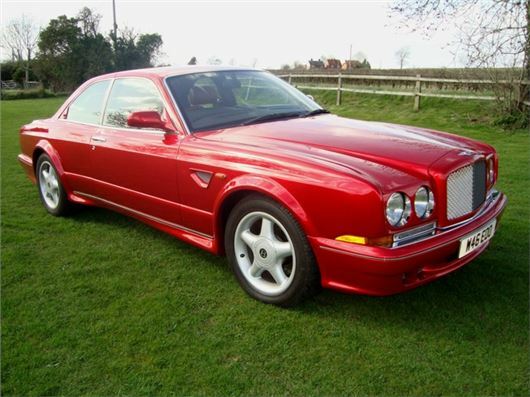 For further information, or to consign a car to the sale, visit www.barons-auctions.com, email info@barons-auctions.com or call 08454 30 60 60.